10 Years. 10 Lessons. 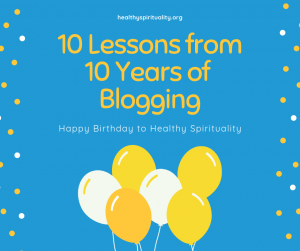 Yes, on February 20, 2009, this blog, Healthy Spirituality, was born. And now more than 1500 posts later, I am amazed 10 years have flown by. Wow! Some of you have been with me from early on, every week – thank you. Some of you joined along the way – thank you. Some of you are new friends – thank you. To celebrate I am giving away a $25 Amazon gift card to one of you. Just leave a comment below by midnight Sunday, Feb. 17 2019 and a winner will be chosen by random. I will email that person early next week and announced the winner too on the Feb 19, 2019 blog post. Again thank you for being part of my little celebration and our Healthy Spirituality Community. Did you know we have a Healthy Spirituality Facebook group where we share inspiration and our walk together in faith? Hop over to Facebook and search for Healthy Spirituality Community and join us. It’s free! Captured joy and the choice of a positive approach to life. May my words always be encouraging, kind, and uplifting. Clarified Circumstances. Discernment and facing decisions are constant issues in our lives, both culturally and personally. We hunger, searched and hopefully find God in the changes, conflicts, and commonplaces of our lives. God continues to walk alongside us, directing our ways and loving and forgiving our missteps. Cultivated Community and Companionship. I have loved getting to know so many of you and occasionally meeting you in person too. We cheered and clapped and chatted and commented with one another. One of my favorite Bible stories is about the two people walking together on the path towards Emmaus, discussing all that has happened to them and Jesus joins them, being with them, listening, teaching and gently warming their hearts. This blog is like that road and is a priceless gift that I am forever grateful for. Thank you, friends and thank you, Jesus. Calculated and Considered Risks. Starting a blog is a risk – to share your heart creates vulnerability. My writer friends dragged me into this form of writing and to be honest, I didn’t want to do it at first. Stepping out of our comfort zones, help us to grow. I now realized it was a great decision for networking and for developing my writing voice. But you can’t stand on status quo either and blogs continue to evolve and technology changes rapidly. I have revamped the looks of this blog and its behind the scenes structure. I changed the formats. I learned terminology like SEO, Yoast, cookies, and plug-ins. This process reminds me of gardening. You can’t just let things grow wild, so I have chopped and cleared and chose to care and nurture new ideas both here and in life. Writing, speaking and living all involve letting go, weeding and seeding new things, facing challenges and changes with courage from God. Cherished the God-surprises that emerge on this blog. I sometimes start a post with one thought in mind to express and as I write, words flow from my fingers through the keyboard as if someone else was clicking the letters and creating the message. Often, I have shared how writing out my circumstances, thoughts, feelings, and prayer in a journal draws me closer to God and helps me hear his voice. Writing connects us through words to the Word. Came into God’s light by paying attention, slowing down, praying and listening. The blog world wakes me to God’s goodness, presence, and direction. We get distracted and cram our hearts and minds with unnecessary busyness fogging our outlook. I am learning to pause more, see more and am amazed at God’s creativity and presence in everything and in all people. We only need to look. Created colorful visuals. I have really enjoyed the creativity of finding and making images for the blog posts, sharing inspirational memes and though scary, stepping into the world of Facebook lives and video. As a lifelong learner, new horizons are always appearing. 10 lessons. 10 years. Celebrating God and the gifts he gives us all. Don’t forget to leave a comment by Sunday midnight to be entered into the drawing to win an Amazon gift card. What have you learned in the past 10 years? 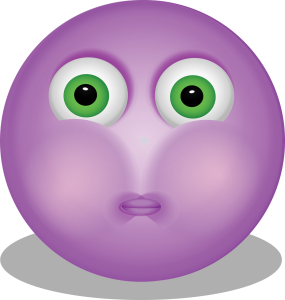 PS – with the behind the scene work on my blog, I am presently unable to respond to comments. I am reading them and do appreciate them. Thank you for taking the time to comment!